Donna Sandberg, M.S., NCC, LCPC is a career counselor and owner of Career Path, a private practice in career counseling in Naperville, IL. 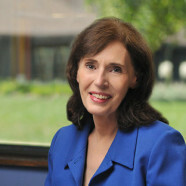 Donna Sandberg began her private career counseling practice in 1987. As a wife, mother, business owner and career changer herself, she brings a multifaceted approach to her clients in the career counseling process. Ms. Sandberg’s background is a rich combination of eleven years of “Real World” business experience balanced with a subsequent immersion in the world of mental health. Ms. Sandberg has successfully managed to bridge the gap between these two apparently divergent worlds by practicing what she desires for her clients, the integration of who we are personally with the professional self we put to work each day. Ms. Sandberg’s business expertise is derived from her time spent in sales and marketing in the hospitality, insurance and telecommunications industries. She became familiar with the similarities in and differences between the small family-run business and the large corporation, as well as, the intricacies of interpersonal and corporate communications in business and industry. This exposure, most significantly, contributed to her narrowing her focus to the individual as the foundation of all other improvements in corporate communication and productivity. Further refined, Ms. Sandberg’s commitment is to individual self-awareness, personal development and our improved abilities to express ourselves through the consistent application of our best gifts and talents. She advocates for proactive career development. The result was Ms. Sandberg’s pursuit of a Master of Science Degree in Educational Psychology, which she received in 1984 from the University of Wisconsin – Milwaukee. Since that time, she has gained clinical experience and developed a successful career counseling private practice called Career Path, located in Naperville, Illinois. She has coached hundreds of individuals through career choice, career transition and career development issues. In addition she has received extensive training in the use and interpretation of the Myers-Briggs Type Indicator and has developed various workshops to introduce “Type” and apply its concept in business and industry, the public sector and the counseling profession. Ms. Sandberg has received her designation as a National Certified Counselor and is a Licensed Clinical Professional Counselor in the state of Illinois. Currently, Ms. Sandberg is a Past President of the Illinois Career Development Association and is currently serving as a Director on the ICDA Board.